Hi Guess the Place is a game developed by Man Zhang. 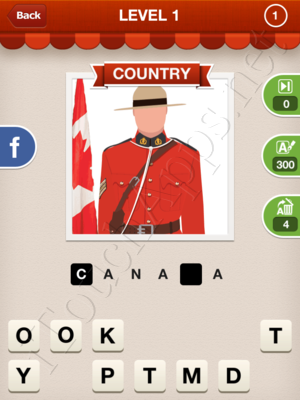 You’re presented with pics of countries or cities, as well as a number of letters and some spaces where you can put them, and your job is to guess the place associated with the pic and spell it out. ##Please Note:## Pictures within a specific level come in a different order every time the game is played. Additionally, here’s another way to find an answer to a specific pic: simply browse the answers to all the pics in that level and you should find it. All answers of this game are presented below. Click the link to any answer to see the corresponding pic.